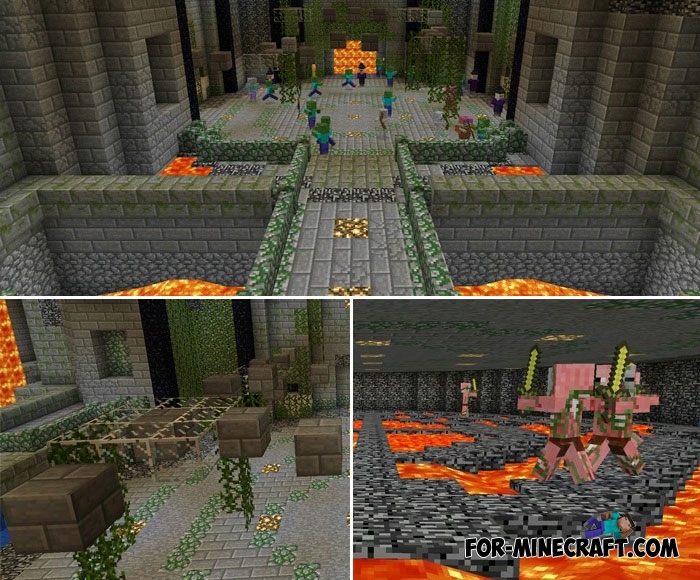 Prepare for the most difficult and ruthless battle in Minecraft. Entering this arena, you must stand 5 consecutive waves of enemies and destroy all the mobs to one. It's very easy to imagine, but you will feel difficulties almost immediately after the start. This arena is really very difficult for self-confident players, there's nothing to do without the company of friends. Each wave consists of certain mobs and the complexity will increase over and over again. The ideal number of players is three, with two players fighting on swords, and the third one must use the bow for accurate shooting from afar. 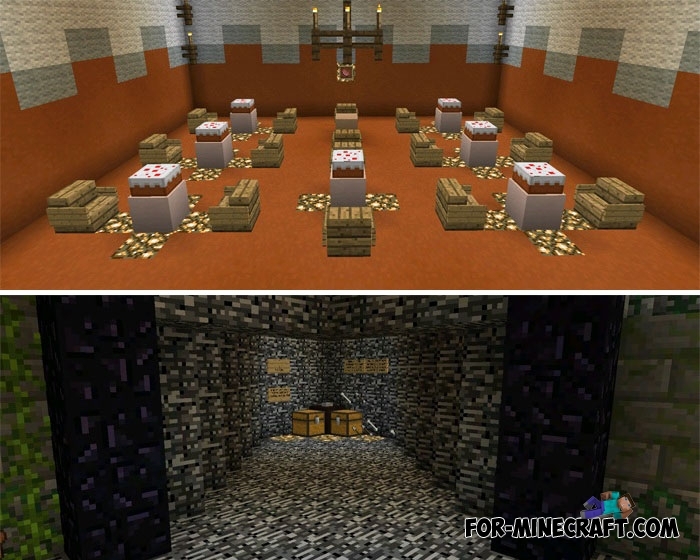 The map is based on the first episode of Minecraft Story Mode and if you played it you should remember some things. Always cover the backs of friends and do not take only one position. One zombie does not pose a threat, but if they unite, it becomes very hot.